You probably know that daily fruits and vegetables are an essential part of a healthy diet, but did you also know that they are necessary for preserving your oral health? 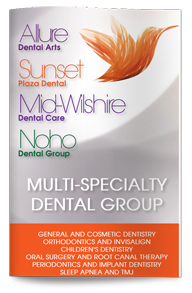 Dr. Poneh Ghasri DDS, dentist in West Hollywood recommends that her patients eat five servings of vegetables and fruit every day to strengthen their teeth and gums. Fruits and vegetables contain nutrients that are critical for keeping teeth and gums healthy and strong, such as vitamins C and D, calcium, folic acid and other essential vitamins, minerals and antioxidants. 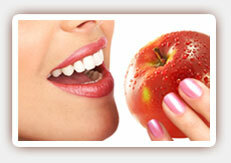 Fruits and vegetables can also strengthen teeth and gums mechanically. The high water content and fibrous nature of produce can scrub and then rinse away particles and plaque that promote cavity development and gum disease. They have a massaging effect on the gums as well. Some fruits and veggies offer even more benefits. Cranberries, for example, have been found to interrupt the metabolic processes of oral bacteria and interfere with acid production. Celery and carrots can improve your breath. Few adults are getting the recommended five-a-day. Enjoying an apple or orange as a snack and including brilliantly colored vegetables in a salad, soup or pasta dish can help you pack more nutrient-rich foods into your diet every day. Avoid snacking on dried fruit, which tends to be very high in sugar and can actually promote plaque formation and acid attacks on teeth. Contact our dentist today to schedule your next professional dental exam, cleaning and X-ray and learn more about how good nutrition promotes a strong, healthy smile.